If you have any questions or want to enquire about dates, use our form to contact Claire Mercer Nairne or see their website for more information. 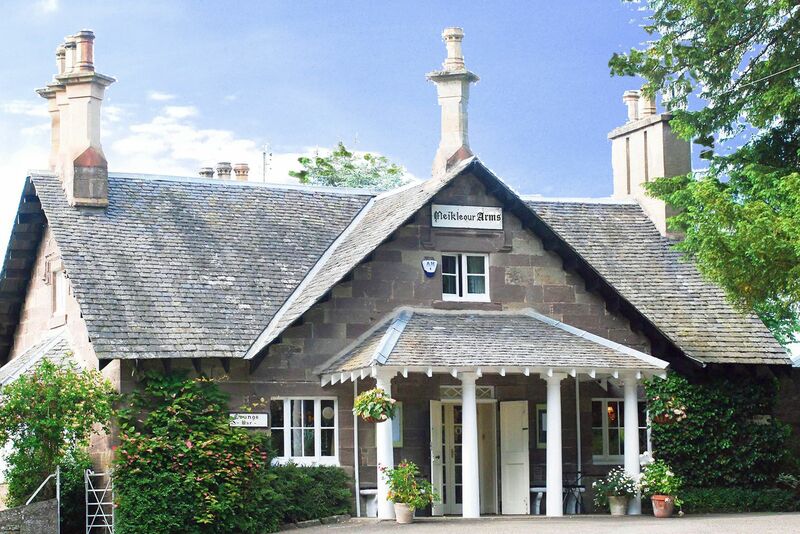 Much of the food you eat in the restaurant of this Perthshire country hotel comes from the estate – vegetables and herbs grown in the walled garden, scallops hand-dived on the west coast and venison from the Meikleour Forest. You can also sample some quirky finds from the less well known vineyards in Bordeaux. Walk to the river for a morning’s salmon or trout fishing on the Tay – book a fly-fishing lesson with the head ghillie. Spot ospreys, otters, kingfishers. The Blairgowrie Golf Course is a five-mile drive, while three others are within 30 miles. Book a tour of a couple of whisky distilleries too – Blair Athol and Edradour are in Pitlochry (a 40-minute drive). Scone Palace, Glamis and Balmoral are all within reach. You stay in the 19th-century coaching inn or the serviced cottages in the grounds – a short drive or walk from the main building. The cottages have small kitchens, but you can wander over for breakfast in the restaurant each morning. Minimum 2 nights stay in the cottages. Dog treats at the bar, bowl of water, hose outside for muddy paws. Socialise in the pub restaurant, sleep by the fire in winter. Dogs stay for free. A freshly laundered dog bed is available for £15 per stay. Dog-friendly rooms downstairs, wooden floors. Each cottage has fenced little garden. Path from beer garden into Meikleour North Wood; river Tay walk with shingle beach. Map of best walks on website. Single occupancy is a £10 discount off the double rate. Have you visited The Meikleour Arms? Be the first to leave a review. A 20-minute amble takes you down to the river or into the woodland. For everything else you’ll need a car; pretty Dunkeld, ten-miles away, has a cathedral and a National Trust shop. Walks from the door, fishing on the Tay, plenty of golf courses and whisky distillery tours – expect the full Scottish experience during your stay. Bring some sensible shoes and enjoy the surroundings. 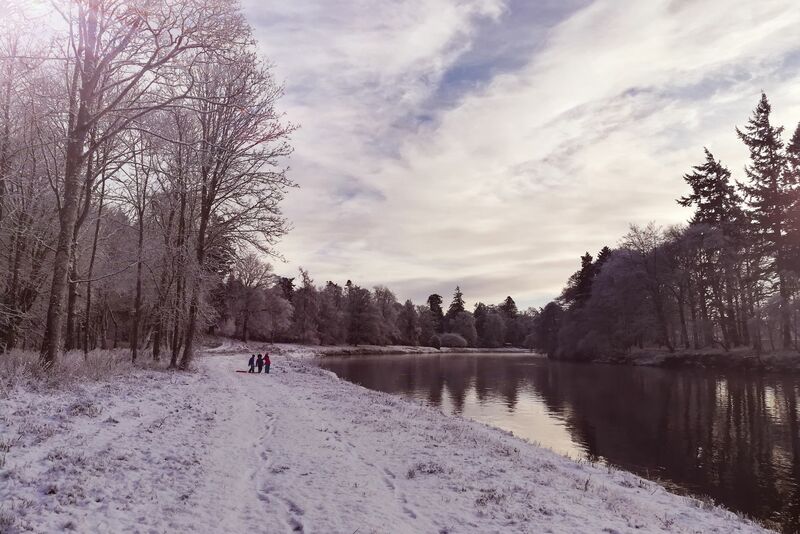 My top easy walks from the hotel: The Meikleour North Wood, The Shingle Beach and the River Tay. 5 min by car: the Woodland Trust Bluebell Wood, spectacular in May (easy parking). - I love Dunkeld & Birnam: park in the town and head towards the cathedral. There is a circle walk along the river Tay. Another great walk nearby is the Hermitage (spectacular waterfall) and don’t miss the ancient Birnam Woods celebrated in Macbeth. 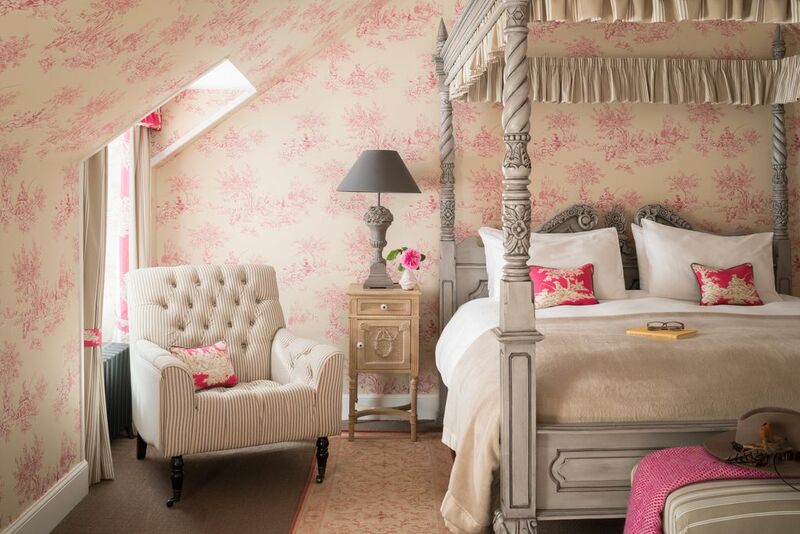 For some serious country chic retail therapy go to the House of Bruar near Pitlochry. This place is big (think Harrods in the Highlands) with an impressive choice of quality cashmere, plaids, boots. Great food hall for a bite or buying Scottish goodies. Blair Atholl Castle, impressive 13th century family owned castle is definitely worth a visit. Much loved by Queen Victoria who left her marks, it has stunning grounds and gardens. International Horse Trial end of August. Combine with House of Bruar visit. For garden lovers Drummond Castle near Crieff is the most spectacular formal Italianate garden in Scotland. A very romantic place. On the way stop at the Glenalmond Tweed Company for fabulous quirky tweed bags and clothing for him and her. Visit Scone Palace (10 min away) the crowning place of Macbeth. Don’t miss the pinetum and the maze (with a racy fountain at the centre) Excellent coffee shop for a scone at Scone. Then head to Kinnoull Hill for a spectacular view of Perth (great walk). Sam (Scottish) and Claire (French) are the current Lord and Lady Meikleour. They met whilst working in Singapore; in 2000 Sam inherited the estate from his grandfather and they began to bring the place back to life. Now the farming part of the business is thriving and they have turned their attention to welcoming guests to the coaching inn and cottages.